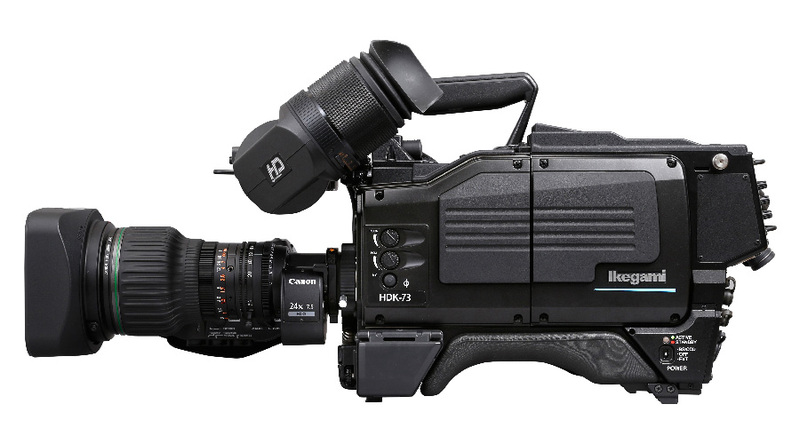 The HDK-73 employs three 2.6 Mega pixel 2/3-inch CMOS image sensors, achieving superior quality HDTV video with horizontal resolution of 1000TVL, SNR of 60dB or more, and sensitivity of F12 (1080i50). 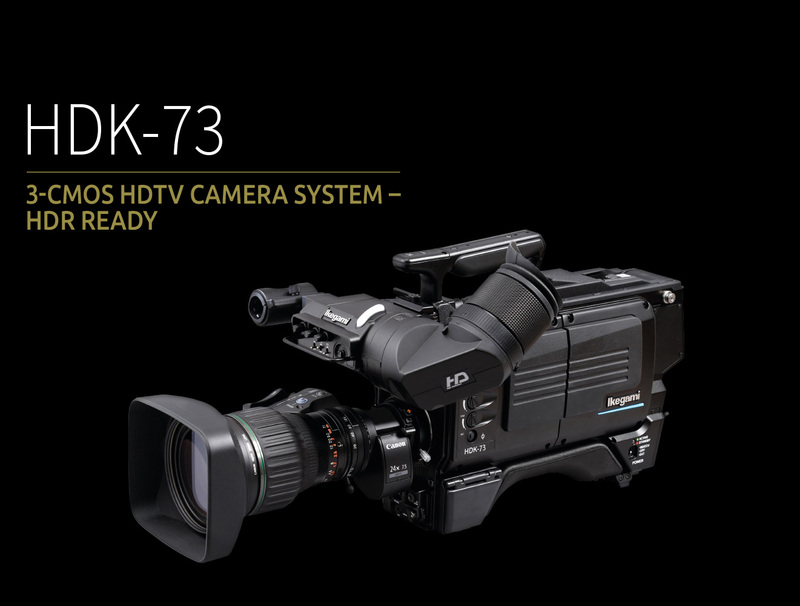 The HDK-73 utilizes three 2/3-inch 2.6 mega pixel CMOS sensors, each capable of capturing full HD 1920 x 1080 resolution images and a wide dynamic range of more than 600%, giving you an excellent sensitivity of F12 (60Hz) / F13 (50Hz) and high signal-to-noise ratio. The CMOS sensors support progressive and interlace readout, natively supporting 1080i/59.94 and 1080i/50, as well as 720p/59.94 and 720p/50 HDTV formats. SD formats 720x 80/59.9i (NTSC) and 720x576/50i (PAL) are available with the BSF-300 Basestation. This camera is designed from the start based on End-to-End Digital Procssing, made possible by using CMOS sensors, and includes the benefits of high bit quantization. Especially for the dark areas of the picture, the higher gradation for gamma and other circuits improves the reproduction, providing for more natural color in the shadow areas of the picture. Up to 38-bits are used within the DSP. The Lens Aberration Correction function is incorporated for minimizing the loss of resolution and colored edges caused mainly by lens chromatic aberration. 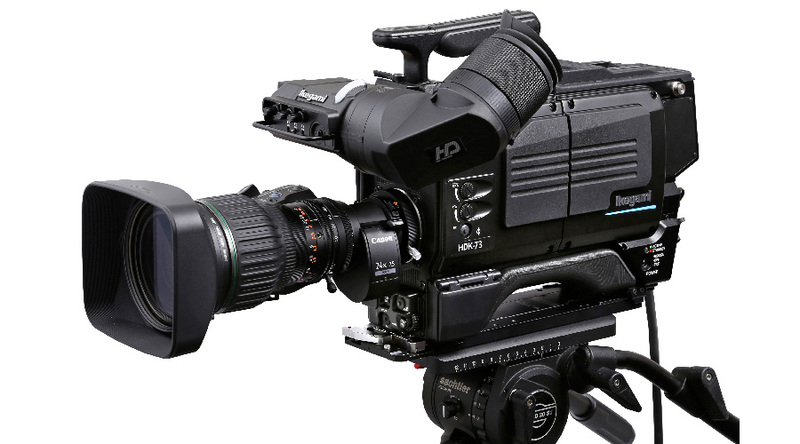 Two HD-SDI output signals (1.5G) are selectable between Camera, VF, RET and MON (monitor) for external monitoring at the camera head. The Quick EZ Focus Assist function is a newly incorporated useful tool, providing very distinct enhancement to the viewfinder signal to enable the camera operator to make critical focus adjustment. The size of area, area color, edge color, and display time on the viewfinder are adjustable in the camera menu. 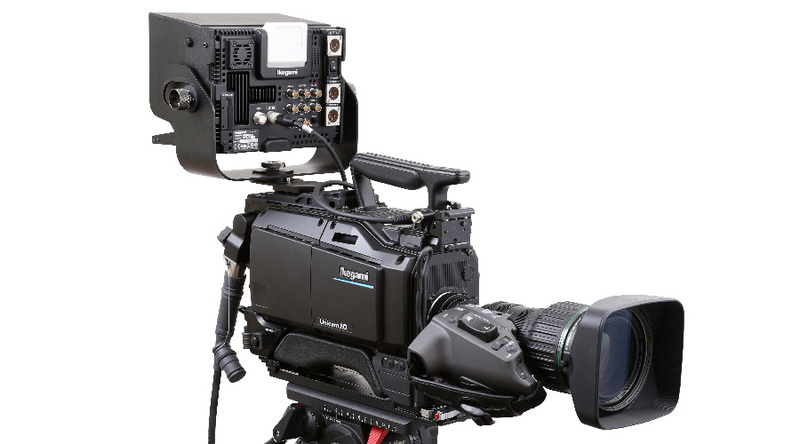 The featured base stations for the HDK-73 support four channels of return video (RET), two each for SDI and VBS. 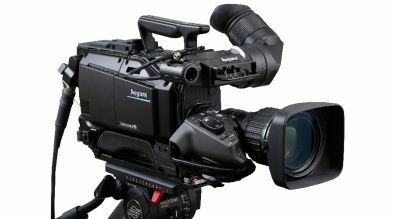 The selected channel can be output at the camera as an HD-SDI signal (upconverted if input in SDTV) and used to feed a talent monitor or other purposes. 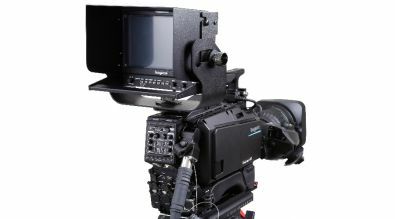 In addition there is a separate prompter channel (QTV) with SDTV input at the base station and SD output at the camera. Both horizontal and vertical Detail Correction circuits for red, green and blue signals are independently and digitally processed. You can obtain the full resolution of a high quality picture with extremely low noise, even under low-light shooting conditions. With a docking style camera body, either an FA (Fiber adapter), WA (Wireless adapter) or CA (Camera adapter) can be mounted without any external cables depending on the use. A new lower profile and lower weight improve the maneuverability for shoulder use. An Anti-Moire Optical Low-Pass Filter can be fitted in the filter wheel to reduce unwanted moire video patterns when shooting a large LED screen, etc. * If this optional filter is ordered, one of the ND filters must be replaced. 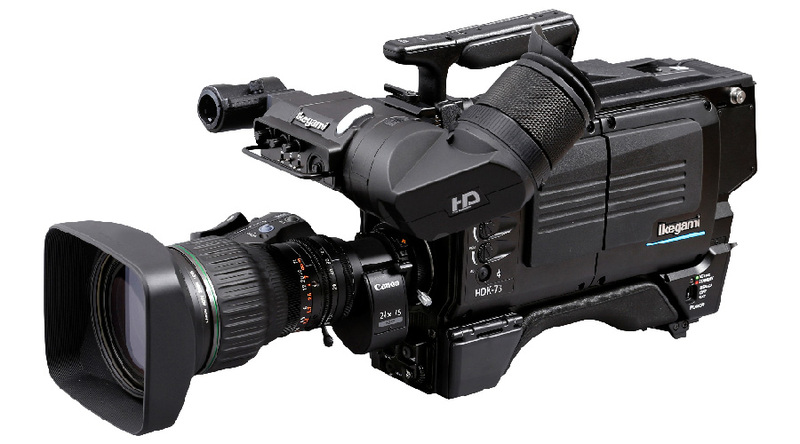 The camera provides an HDR function with its HLG (Hybrid Log Gamma) curve. It is now possible to shoot a scene with high dynamic range without losing gradation in the highlights. * The output signal should be fixed with main video signal in self-contained operation and set to RET signal in cable operation. * The audio signal is not embedded.